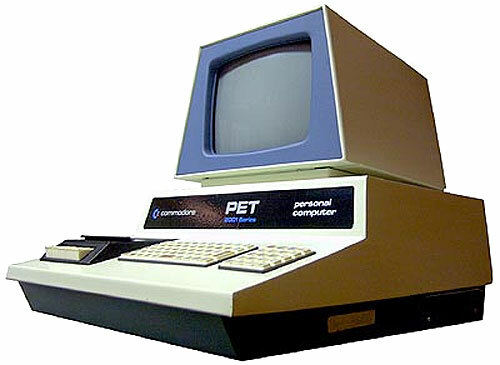 The Commodore PET was one of the first popular pesonal computers, debuting in 1977. Graphics were monochrome and sound monophonic. A large number of games were written for this platform, including the fully one-button game "Air Attack". To play "Air Attack" you will need to use a Commodore PET emulator such as WinVICE and the "air_attack.prg" file game file. You can use the SPACE BAR to play (or set your controller up to act as the SPACE BAR using the likes of JoyToKey). Press SPACE BAR to drop bombs to clear a path to land your plane which will crash land otherwise. Dave Wylie PET Page: Lots of 1970's and early 1980's games. TPUG: The Toronto PET User Group. Commodore.ca: Various manuals and PET help.